Putting penury and pariahdom behind them, the family decides to cut their losses and head for the exit. One ocean voyage later, the curious trio land in their beloved Paris, the City of Light serving as a backdrop not for love or romance, but self destruction and economical ruin - to riotous effect. A number of singular characters serve to round out the cast: a bashful private investigator, an aimless psychic proposing a seance, and a doctor who makes house calls with his wine merchant in tow, to name a few. 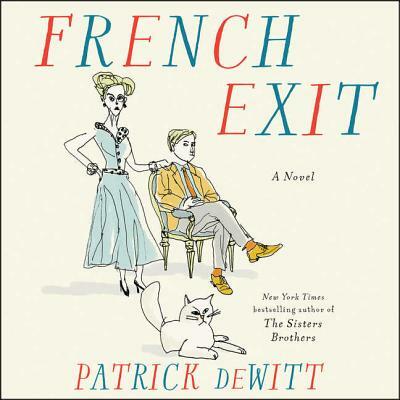 Brimming with pathos, French Exit is a one-of-a-kind 'tragedy of manners, ' a send-up of high society, as well as a moving mother/son caper which only Patrick deWitt could conceive and execute.